The Hogan's Heroes saying seemed like Supreme Court nominee Brett M. Kavanaugh's mantra over the last few weeks as he fought back allegations that he mislead Congress in 2004 and 2006. Sen. Richard J. Durbin (D-Ill.) and Sen. Patrick J. Leahy (D-Vt.) questioned his involvement with several of George W. Bush's most controversial nominees to the federal courts and his knowledge of detainee policies and warrantless surveillance. They also queried whether or not he knew he was getting information that had been stolen from Democrats on the Judiciary Committee. These are hefty charges and we set out to investigate in two lengthy deep dives of the evidence. We quickly determined that Kavanaugh is a lawyer's lawyer. 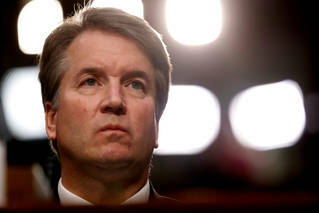 He was careful to speak in terms of "assigned" nominees and noting that he wasn't "handling" certain nominations, even when he was only asked if he had been involved. 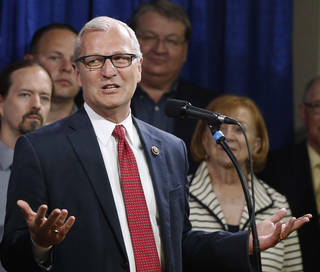 His careful language helped to garner Pinocchios for the senators even when he had omitted a detail or two. We found Leahy's allegation about the warrantless surveillance lacking. But Kavanaugh raked up Three Pinocchios of his own for his claims about the stolen Democratic documents. The best-case scenario is that he had a glaring lack of curiosity about the origins of key memos and insider information. The worst-case scenario is that he has been feigning ignorance since his first confirmation hearing in 2004. Enjoy this newsletter? Forward it to someone else who'd like it! If this e-mail was forwarded to you, sign up here for the weekly newsletter. Hear something fact-checkable? Send it here, we'll check it out. Who turned the economy around? 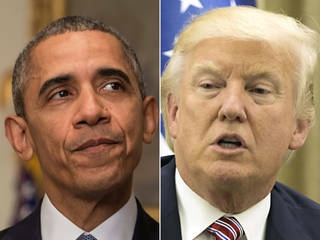 President Trump has been quick to claim credit for continued good economic news -- to which former president Barack Obama offered the former-president equivalent of "not so fast buddy." Regular readers know that we automatically award Two Pinocchios to anyone who gives sole credit to a president for economic improvements. Even so, they can't both be responsible for the current economic numbers. To take the economic temperature, we looked at eight indicators and variations of those indicators— job gains, the unemployment rate, prime-age worker employment, the stock market, GDP growth , wages, poverty and business investment. They all tell a common story. Trump's economy is following the trend set by the last years of Obama's economy. The president can't claim credit for a "historic turnaround." The history books will award that to George W. Bush and Obama. But Trump has exceeded expectations for job creation and GDP growth. The real test will be whether these positive trends can be sustained. The Pew Research Center found something that Democrats and Republicans agree on: they cannot agree to one set of facts. This may not seem like news to anyone who spends more than ten minutes a day on the Internet. But the extent that Pew found this to be true is striking: just 18 percent of Republicans and 23 percent of Democrats say that voters "can agree on basic facts even if they disagree over policies and plans." Would the House GOP plan have prevented 'price discrimination' against people with preexisting conditions? 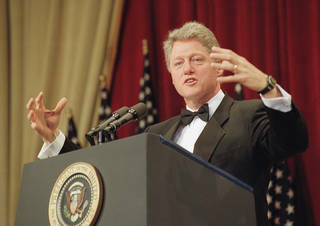 It's the 25th anniversary of one of the dumbest presidential job predictions ever. We explain why Clinton touted a jobs number that even many trade advocates thought was extreme. 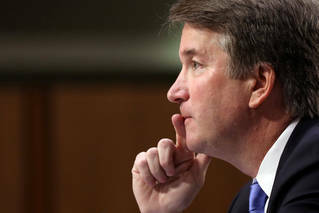 Did Brett Kavanaugh give false testimony under oath? Democrats say yes. He says no. We went back in time to dig up answers. 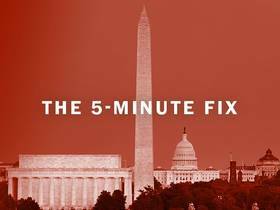 A must-read cheatsheet on the latest in politics, three days a week, from reporter Amber Phillips.